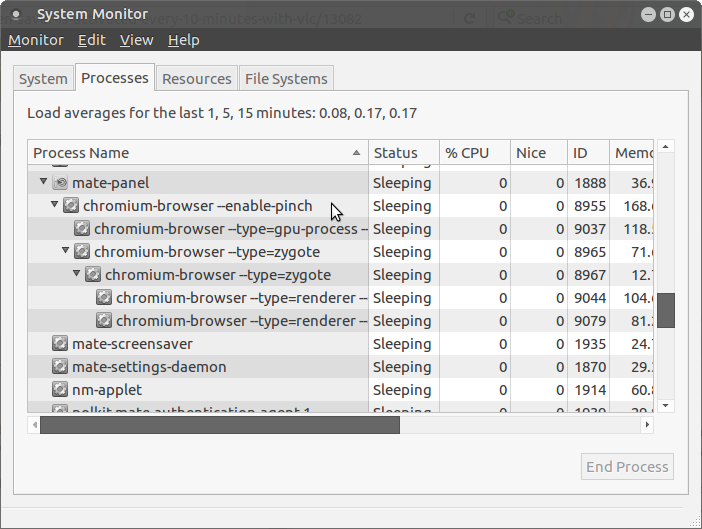 Screen-savers in Linux are a pain, in my experience. It will ask if you want to save it or run it directly in Gdebi. It doesn't matter which. But, you might want to save it first so that if you ever reinstall your system, you do not have to go looking for it on the Internet again. In any event, install it with Gdebi. Having once started Caffeine, it should then subsequently load automatically as an indicator at every login on your main top panel. 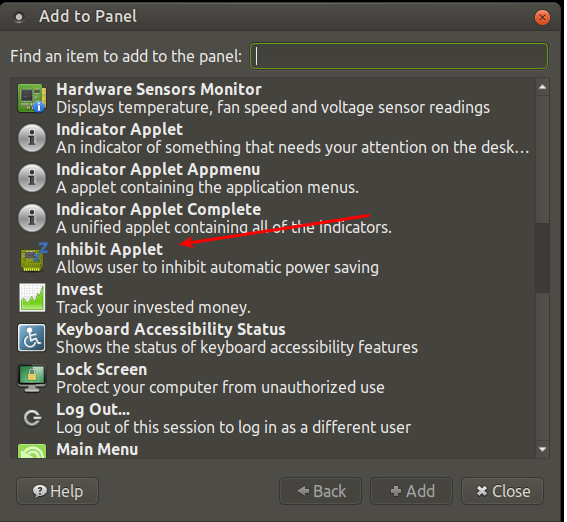 To use it, click on "preferences" on the indicator. 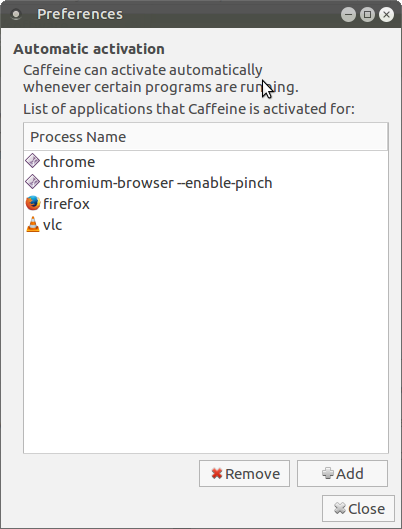 Whatever you see written there, copy this exactly in the "add" dialog in Caffeine. 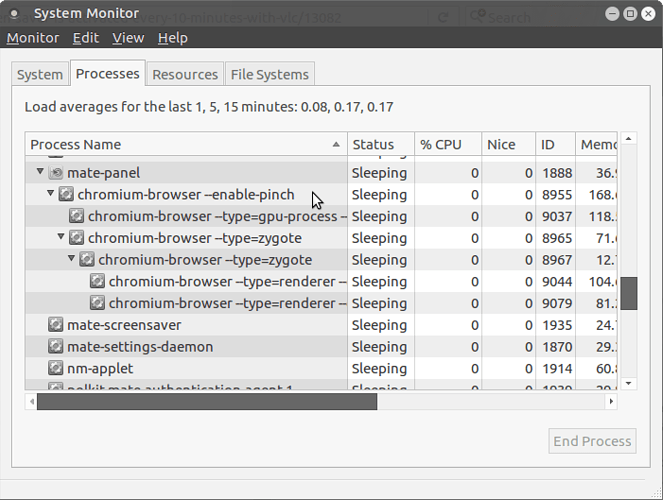 This should do the trick in allowing Caffeine to detect when Chromium (or any other designated process) is running. When it does detect it, Caffeine, will stop all screen-savers. When you close the designated application, Caffeine will then automatically re-allow the screen-saver to operate. I personally find the built in applet works best for me. Thanks For the right up @stevecook172001 I will add this to my notes for future endeavors. I’d normally use caffeine as well. However, I noticed that if you have “Dim display while idle” set, caffeine doesn’t prevent the dimming. Do you have a solution for that by any chance? So right now I’m using the inbuilt inhibit panel as well, only have this small cosmetic issue with it but else it works fine.